The French 🇫🇷 are out in force at #ChampionsDay this year, with a leading chance in the QEII in RECOLETOS. 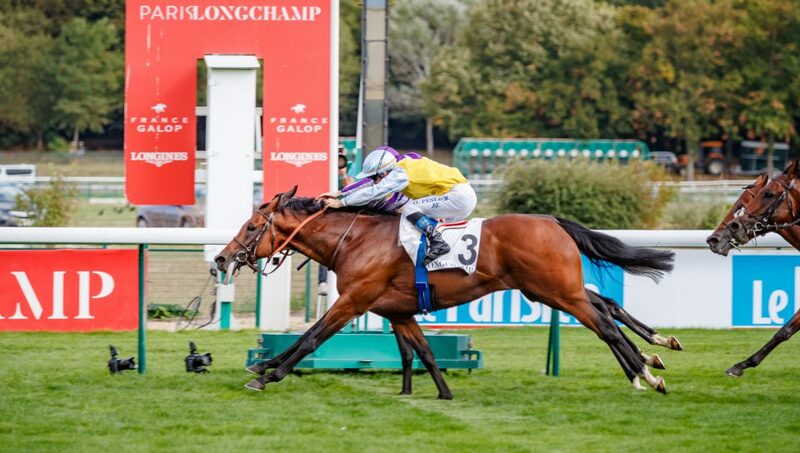 Having been campaigned over the shorter distance of a mile this season, Recoletos has already won two Group 1s over the distance – the Prix d’Ispahan and the Prix du Moulin. He is a general 3-1 shot for the richest mile race in Europe but could have to contend with the filly Laurens, who won another QIPCO British Champions Series race at the weekend – The Kingdom of Bahrain Sun Chariot Stakes and would need to be supplemented. Karl Burke, her trainer told Press Association, “We’re delighted with her. She only lost four kilos on the whole trip and she looks in great shape. She’s got a great constitution, and I think she’s come out of Saturday better than she came out of the Matron. We’re definitely planning to run her again this year. I’ve spoken to John (Dance, owner), and at the moment we’re leaning towards Ascot.